Property wealth has risen by 300% over the past 40 years while annual property taxes have fallen by 0.3%. Council tax is as “regressive” as the poll tax and should be replaced with a new progressive levy on household wealth, a leading think tank said today. While property prices and household wealth in the UK have ballooned in the past thirty years, council tax and other wealth tax revenues have remained largely flat – meaning households benefiting from booming prices haven’t been paying more, the Resolution Foundation have shown. The situation has developed because, although councils do have different bands of council tax determined by property price, the bands are based on property prices in 1991 and, astonishingly, haven’t been updated since then. 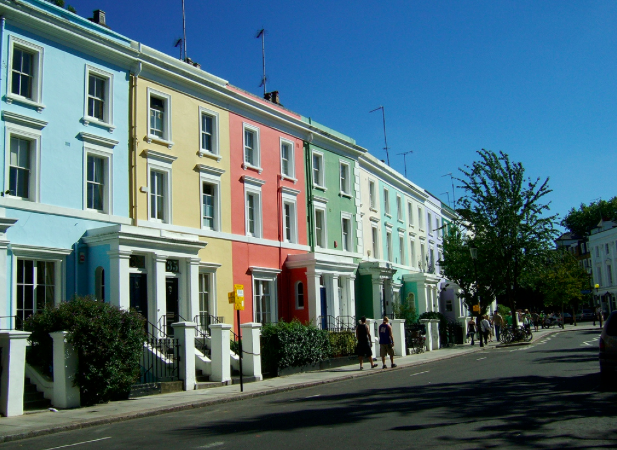 The highest band (H) is for homes valued at £320,000 and above – despite houses in London now being valued on average at £480,000. 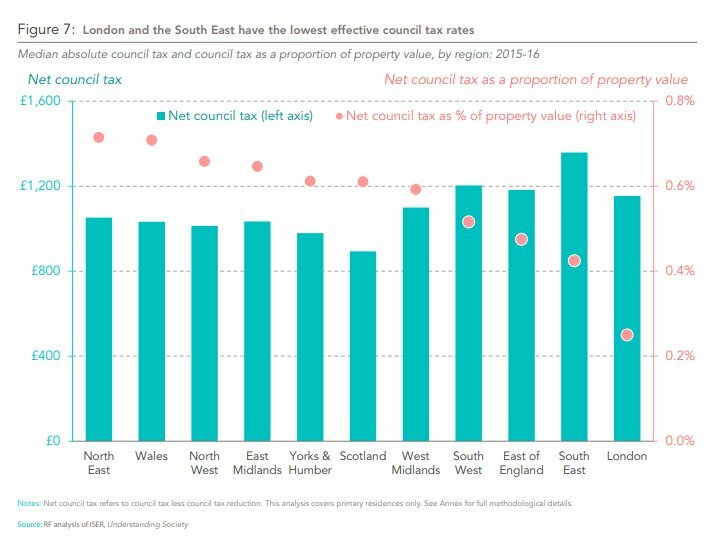 Council tax is ‘highly regressive’ because the levy is, in many areas, almost a flat-rate, largely ignoring the wealth of those who pay it. 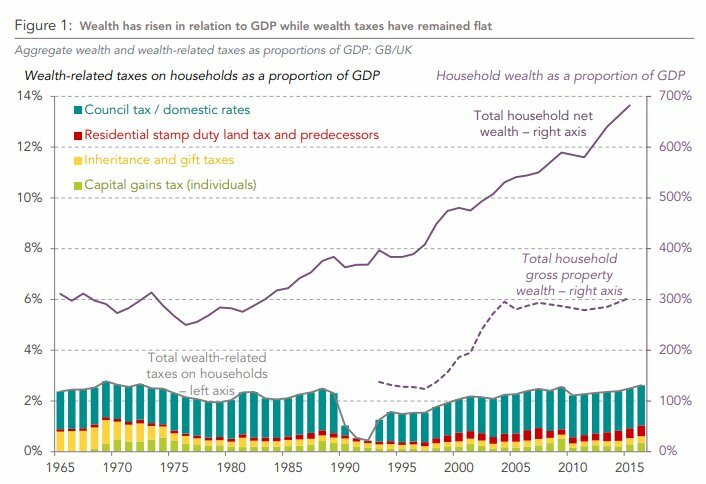 The Resolution Foundation research shows that since 1970 property wealth has risen by 300% while annual property taxes have fallen by 0.3%, as the graph below shows. And council tax is leading to some huge disparities in taxation relative to wealth across the country. “Someone living in a property worth £100,000 pays around five times as much council tax relative to property value as someone living in a property worth £1m. And the call to reform the tax couldn’t come at a more urgent time: councils are preparing to hike their rates by up to 6 per cent in many parts of the UK – which will push financially struggling households into further trouble. One of the solutions could be a new progressive levy based on property value, which council tax largely ignores, the report argues. Switching to a 0.5% annual tax on property value would, for example, see a house worth £100,000 charged £500 a year, and a £1m house charged £5,000 a year – £3,000 more than the property owner would currently pay. Today’s report could be the radical solution Labour are looking for.